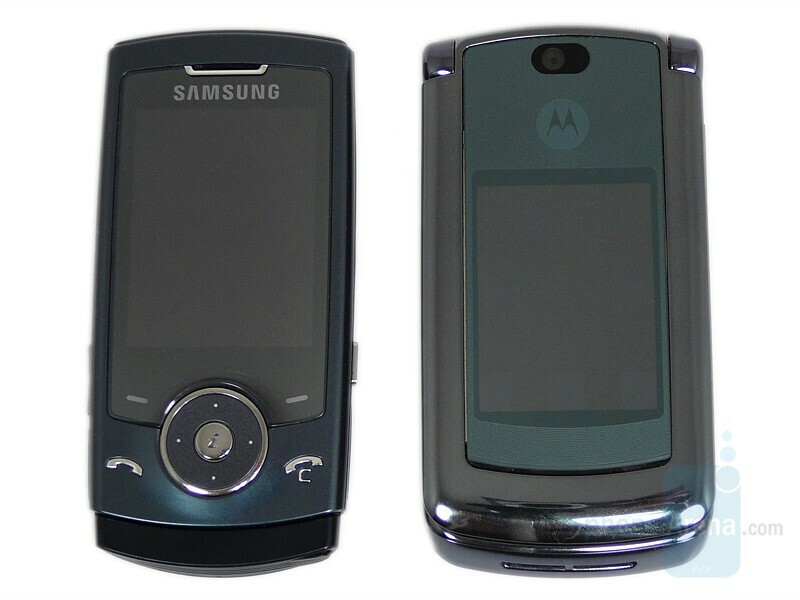 Back in 2004, Motorola released the RAZR V3 which became an instant hit. 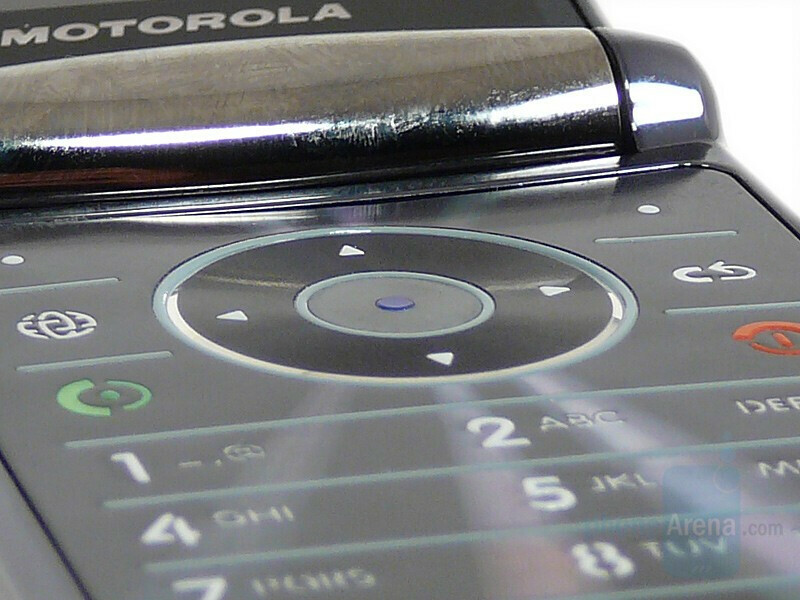 Despite the lack of many features and a poor menu system, the phone was a big success for Motorola and they have been building on it since then. 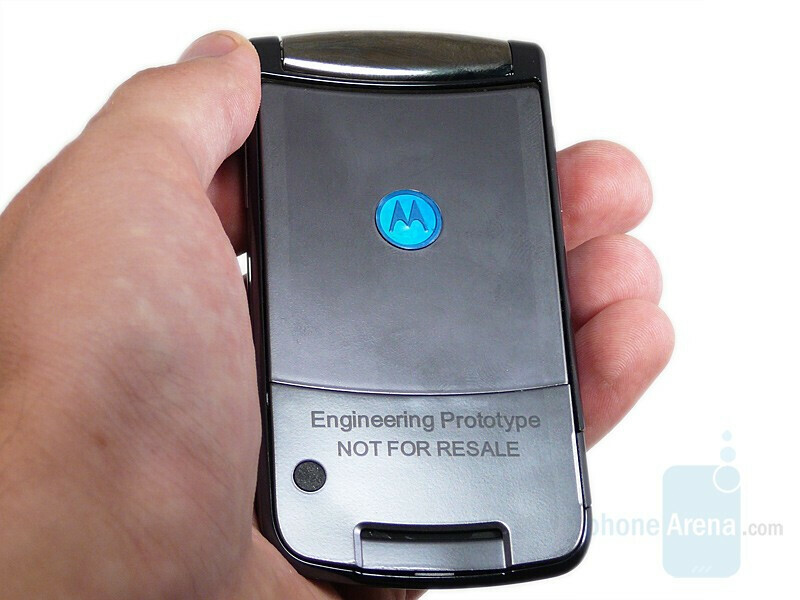 Three years later and we are close to the release of the RAZR2 which is supposed to completely reshape the RAZR series. The RAZR2 has big shoes to fill if it wants to be more successful than the original RAZR and all the variants. 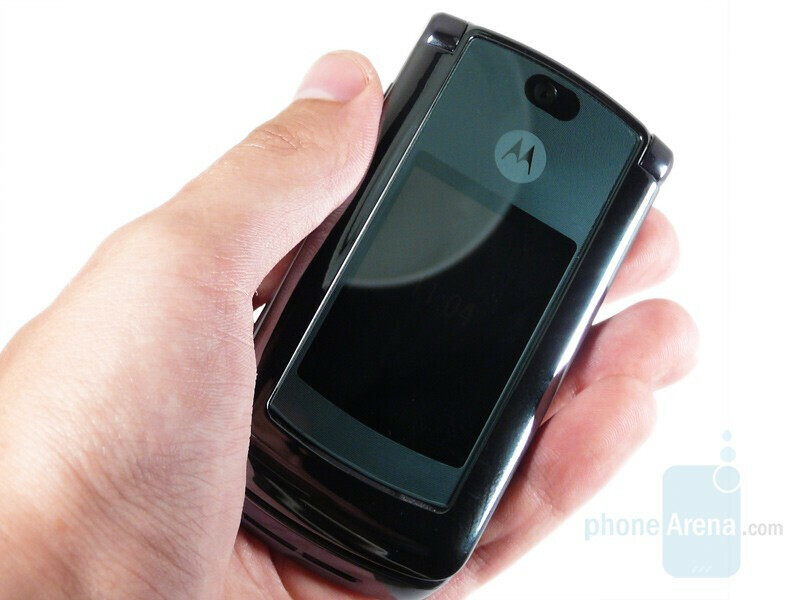 To see if Motorola has managed to build a successor to the RAZR, we will look at the RAZR2 V8 today. Keep in mind, this is a PROTOTYPE unit, and in the final version may have changes. 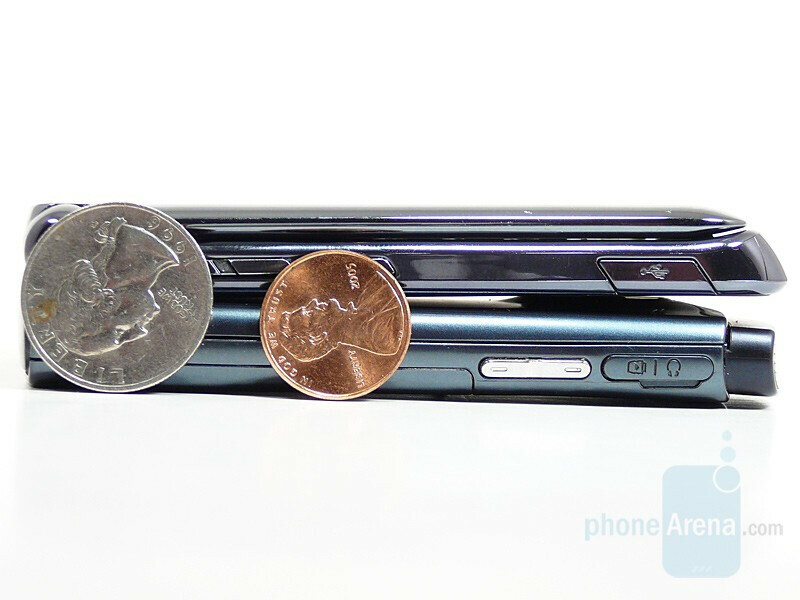 Let’s look at some of the key features and see how this phone stacks up to the original RAZR. 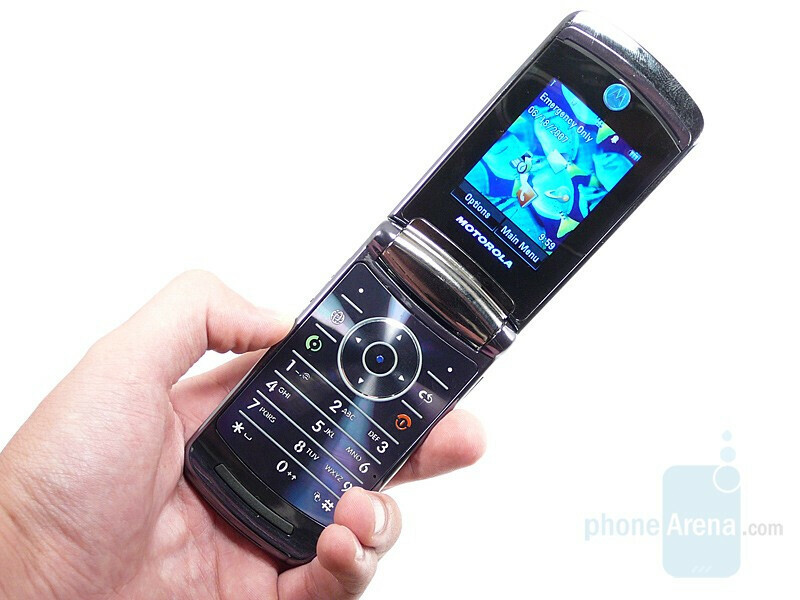 First, the RAZR2 V8 is a quad-band GSM clamshell phone. It is equipped with Edge for faster surfing on the internet. The V8 lacks a memory card slot but this is made up by the amount of memory built-in. You can choose between two sizes depending on your needs, 0.5GB (512MB) or 2GB. 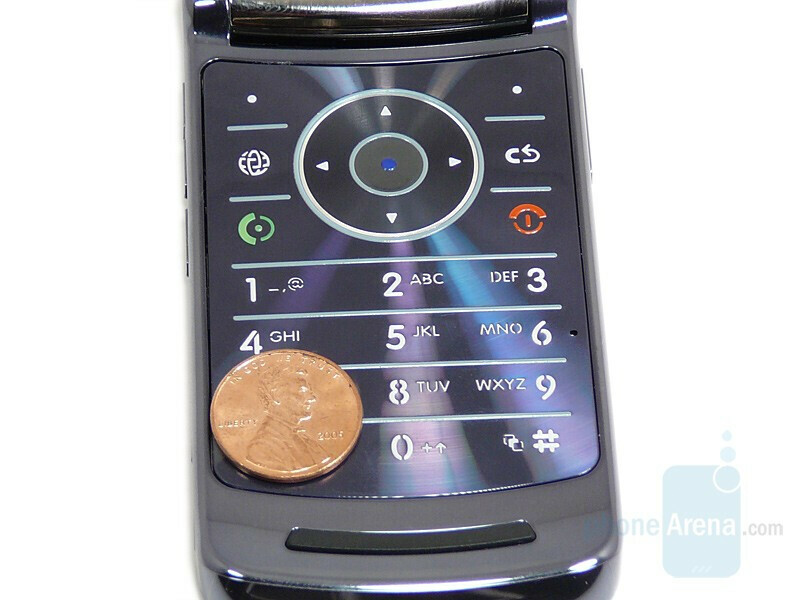 The original RAZR had only 5.5MB of memory, which means that the new one has 100 or 400 times more! The camera is now a 2MP camera compared to a VGA (0.3MP) camera on the original. The phone looks very appealing and much sleeker that the original. 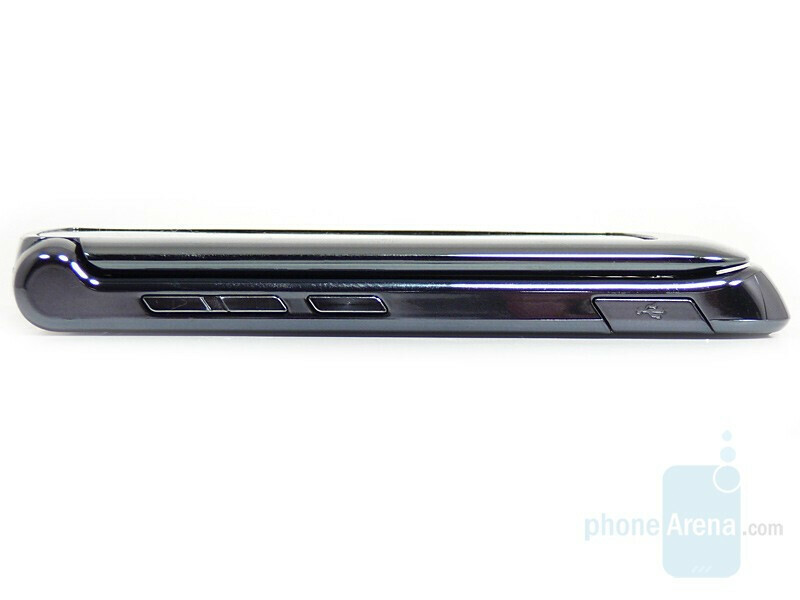 The front is made up of a very glossy material which, surprisingly, hides fingerprints very well. The second item that you notice immediately is the large external screen. 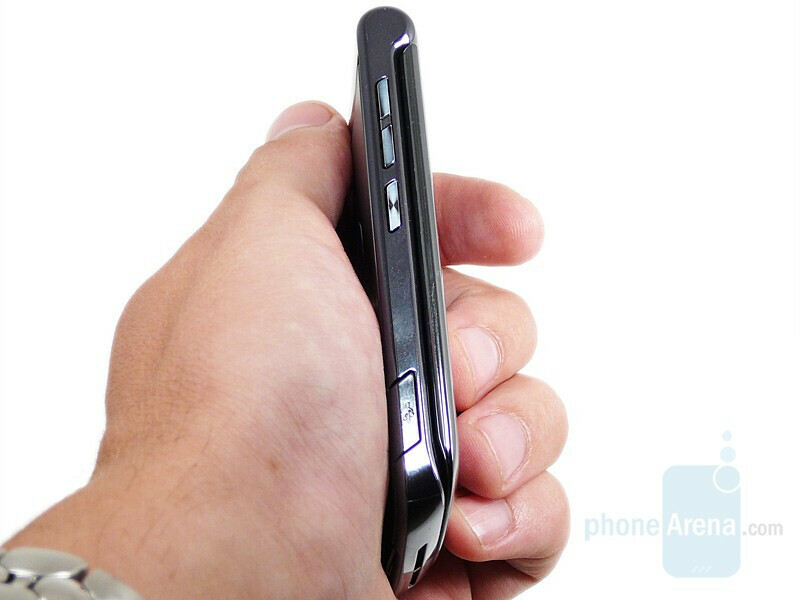 When holding the phone, you notice that it feels very solid. At the very top of the phone is the 2MP camera. The is no flash on the phone which is a big let down as most cameras phones come with at least an LED flash nowadays. There is also no mirror but since the front is very reflective, the lack of one is not an issue. As before, there are two displays but Motorola placed a large 2inch screen with 256k colors on the outside. When using the media player, touch sensitive buttons appear on the bottom of the screen. The inside screen is just a little larger at 2.2 inches and lacks touch sensitive area. Both have a resolution of 240 x 320. When looking around the phone, you will notice that there are three buttons and a USB port on the left and one button on the right. The volume rocker and the camera/accept button are on the left side towards the top. As before, the volume rocker lets you select the different profiles. Below, there is a microUSB connection from which you charge the phone and can connect to a computer. 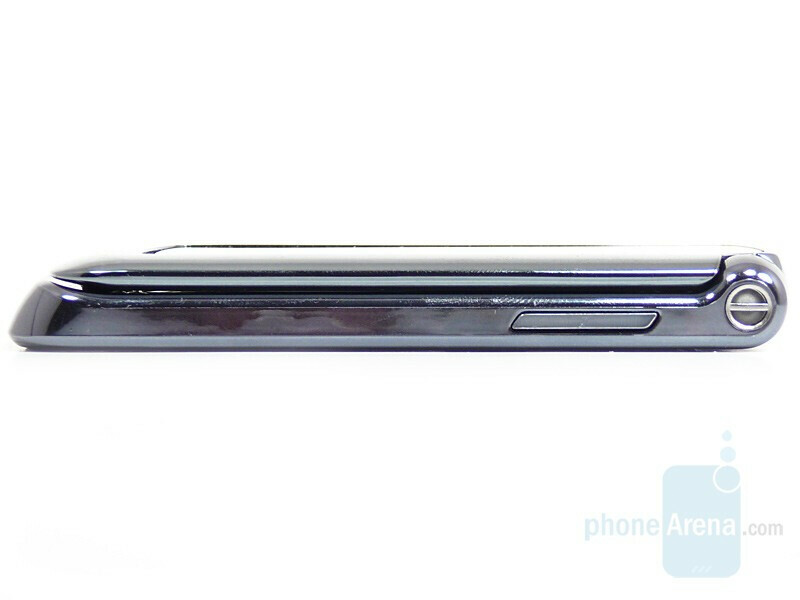 Motorola RAZR2 are the first phones to offer microUSB, but after that Nokia announced three new devices also using it. There is a button on the right which appears to have no function set. As none of the buttons have any symbols on them, it is hard to tell what the future function will be. When the buttons are pressed, they give off a slight vibration for feedback. 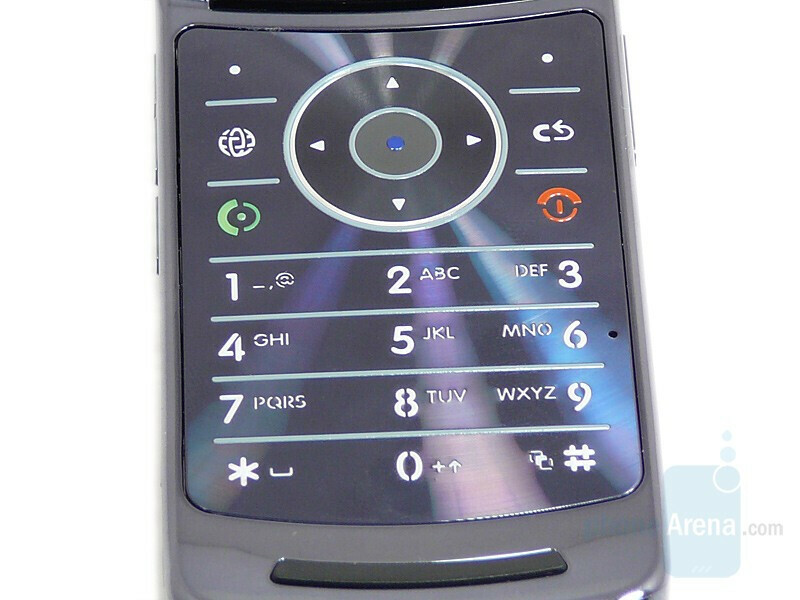 Once the phone is opened, you will notice many similarities to the RAZR V3. 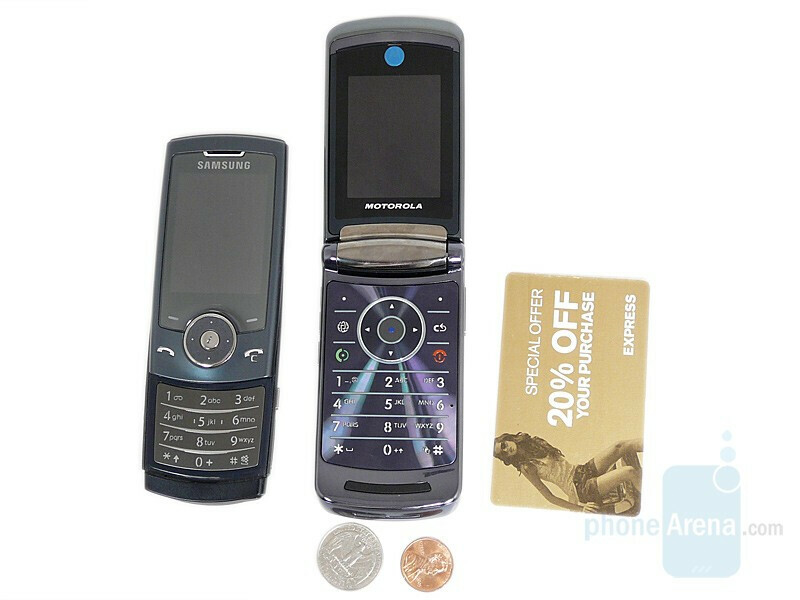 The keypad is still made of a very glossy material and the buttons are arranged in a similar manner. The main changes to the keypad are how the buttons feel. All the numbers are separated into rows with a slightly raised line in-between them. All the numbers are raised but it is still difficult to distinguish some of them without looking. When lit up, there is a white backlight. The only buttons that differ are the hang up, which is red, and the call, which is green. Great design, nothing more. Buggy software, slow menus, UI customisation is limited comparing to earlier motorola models, camera is not soo good, no 3G, no external memory, weak battery. Useless huge external screen because of touch screen limited function (works with player only). Not able to customise side buttons anymore. I've been using Motorola phones for years (V50, V66, T720, V525, V3) and now with v8 I'm quite dissapointed with new (Linux) software. I think this is the last Motorola phone I have.